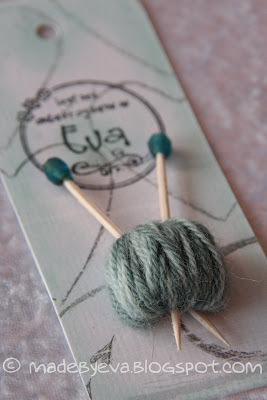 Every knitted gift I gave this christmas had one of these gift tags enclosed. I wrote washing instructions on the back as well as a little info on the yarn or anything else that could be useful to know. It also serves as a way of bringing in my personal stamp, that's always fun. 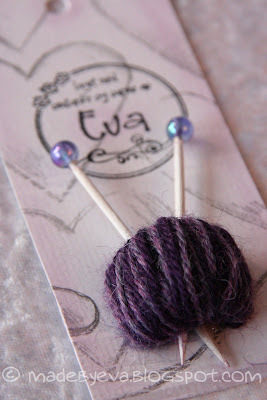 But most importantly, they are the excuse I needed to make some of these awesome tiny yarn ball embellishments! 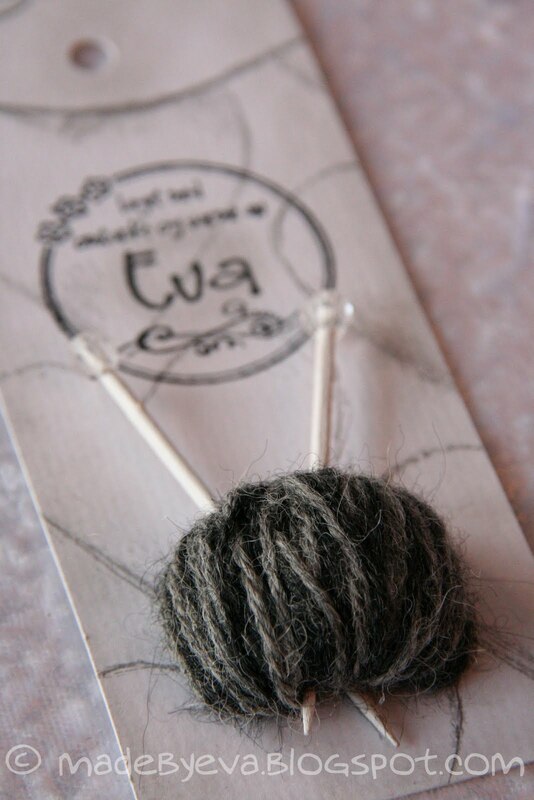 You could even look at this as an elegant way of including extra yarn for emergency repairs. 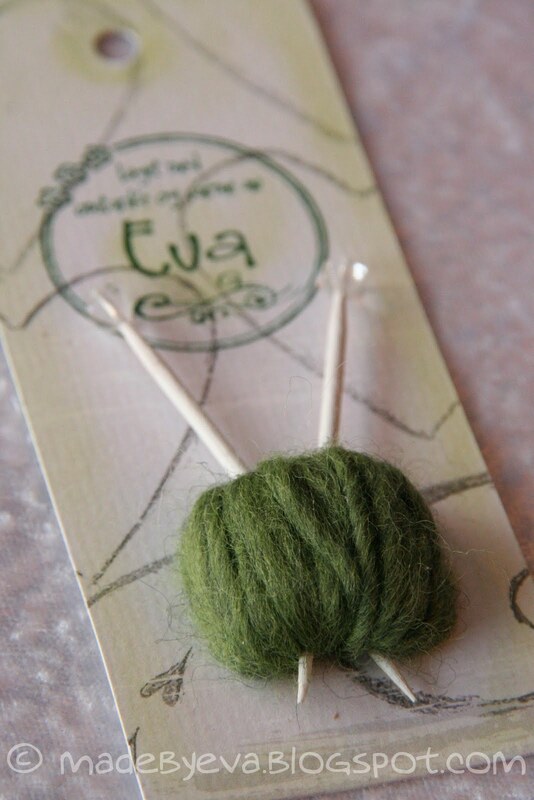 I've done one of these before, ages ago, on a birthday card for avid knitter Olaug. And ever since, I've been looking for an occation to do it again! 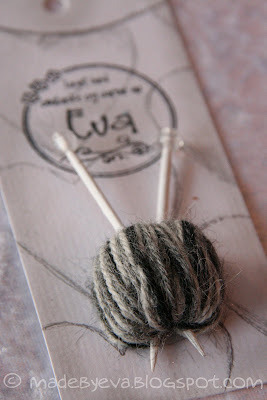 The idea and tutorial comes from the Craft blog. I did one for each gift, using the corresponding yarn or yarns. As an added bonus, you can even look at this as an elegant way of including extra yarn for emergency repairs! 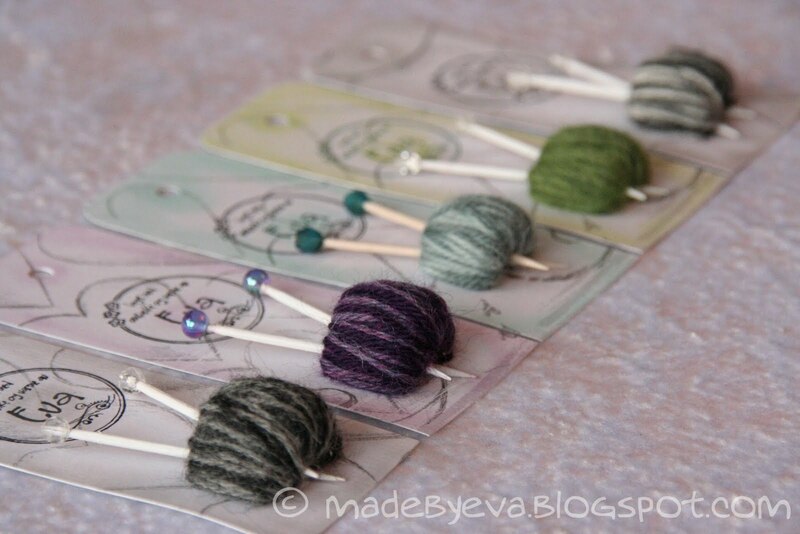 The yarn is wound around a piece of cardboard that's glued to the tag, and the knitting needles are cocktail sticks with beads glued on. The DP is a thick double-sided one from Panduro (from the same stack as my gift tags). I gave the edges a little colour using shimmering chalk in matching colours.